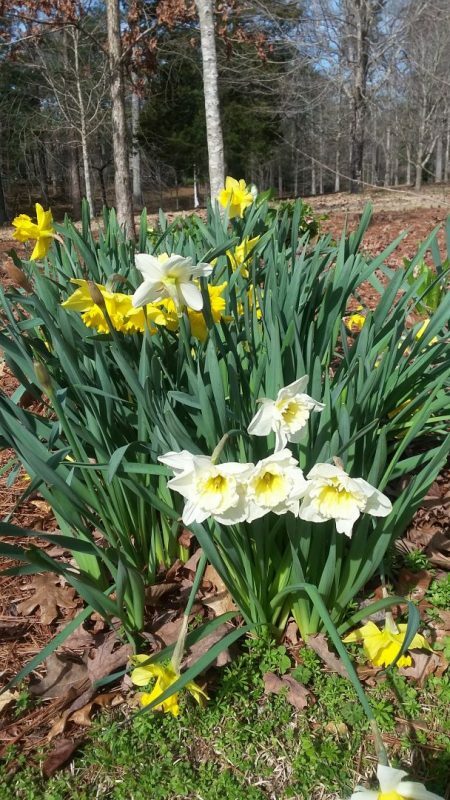 If you would like to make sure you are kept up-to-date with our news, we encourage you to sign up for our newsletter. 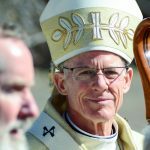 On the Solemnity of the Annunciation of the Lord, the Most Reverend John C. Wester, Archbishop of Santa Fe blessed the Rt. Rev. 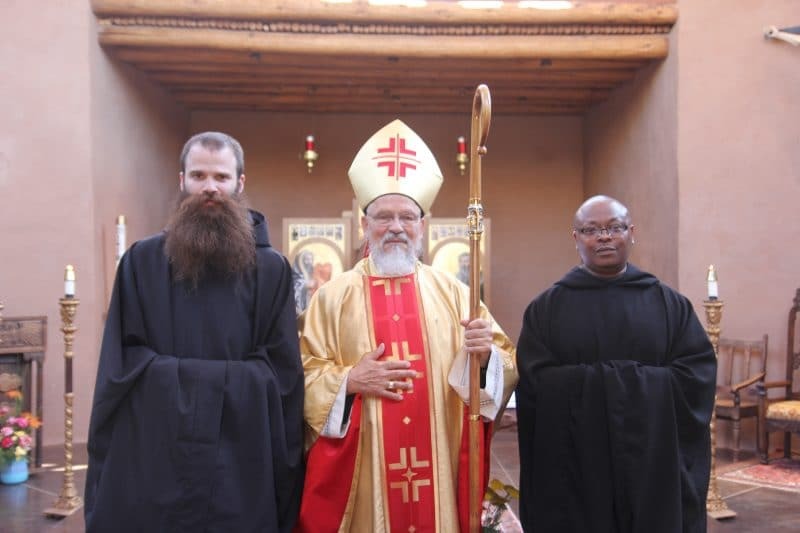 Dom Christian Leisy, OSB as Abbot of the Monastery of Christ in the Desert. 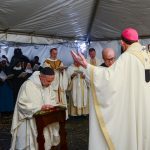 Approximately 400 guests were in attendance including a 4th grade class from Holy Cross Catholic School, clerics and religious from the Holy See, Brazil, Mexico, and England, local leaders and longtime supporters of the monastery. 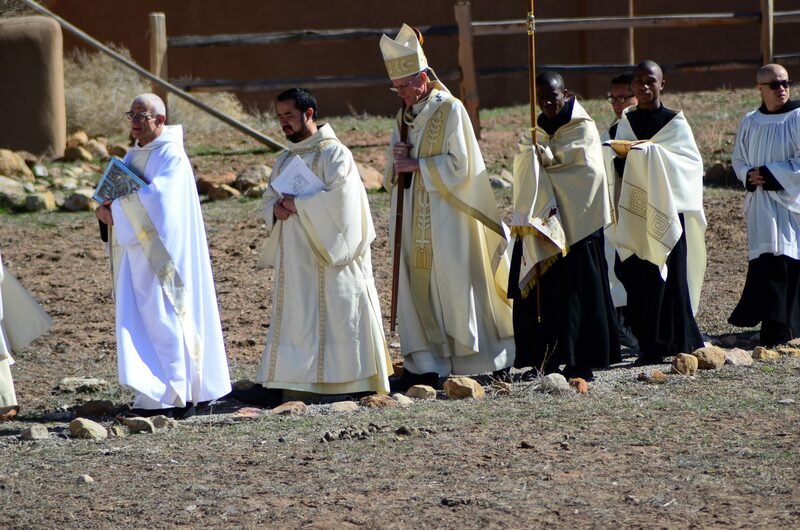 All delighted in participating in the Mass under an enormous white tent near the Chama River for the new Abbot who is loved and well received by many throughout the world, but especially in our corner of the world, Abiquiu, NM. 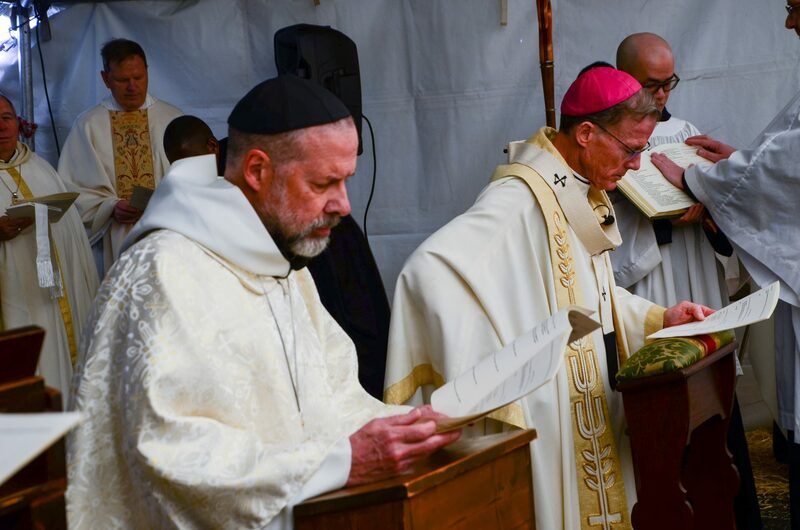 Archbishop Wester congratulated the overjoyed gathering celebrating the Solemnity of the Annunciation of the Lord, the Eucharist, and the abbatial blessing. 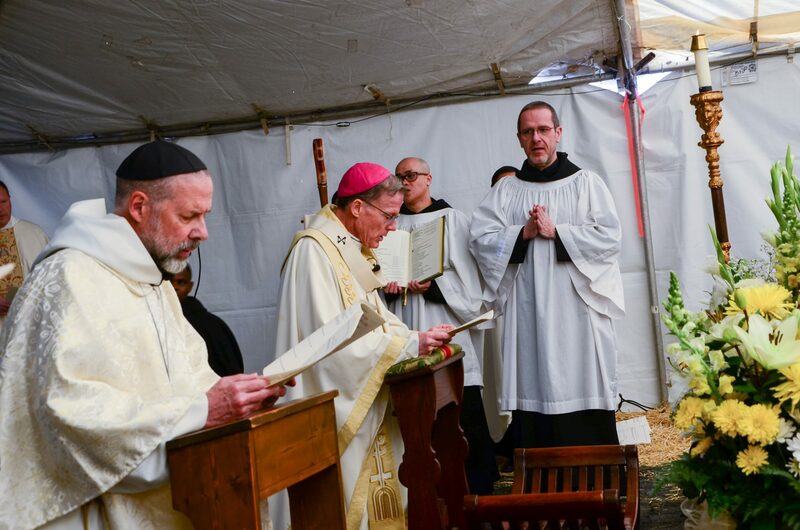 Although Mary is front and center in the celebration of this solemnity, Archbishop Wester encouraged Abbot Christian to be Joseph, Mary’s spouse who had a large role to play in the Gospel, for the community of the Monastery of Christ in the Desert. 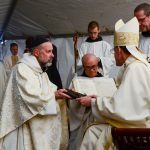 “As Abbot, you are called to guard this space in this part of the desert where Christ can be adored, abiding in the womb of the monastery,” the Archbishop said. 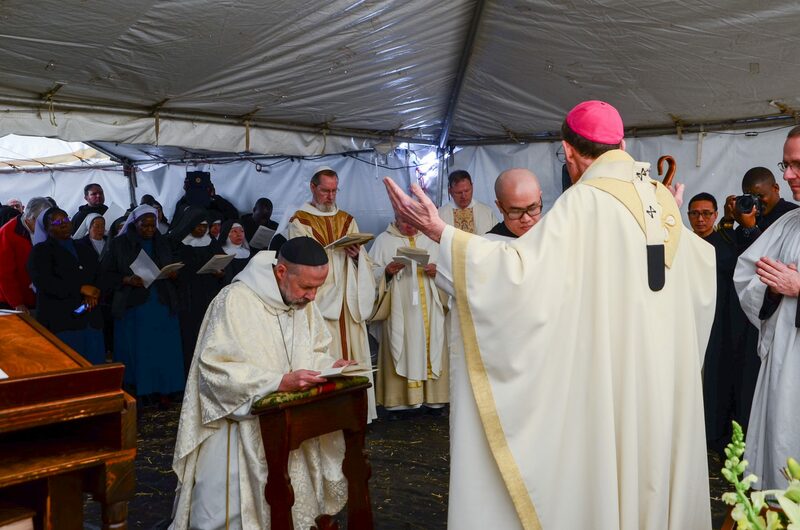 In response to the Archbishop and the overflowing warm of those gathered, Abbot Christian pledged himself to forming monks “for life.” This means commitment by all to live the life fully, with its daily demands and challenges, and doing so joyfully, out of love for Christ and the brethren. 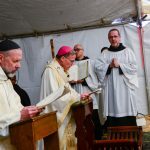 After the Mass, the participants convened under large tents adjacent to the Mass tent for a delicious monk cooked meal of lasagna, salad, garlic bread, a selection of three delicious cakes, and assorted beverages. After the meal, guests were invited to an open house of the monastery to get a glimpse of cloister life. 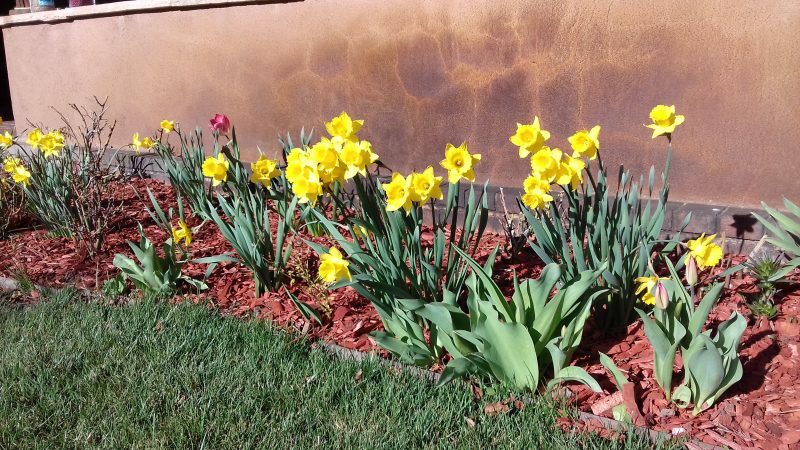 The sun shone brightly throughout the whole celebration as were the faces of so many loving friends and supporters. People could not help but respond positively to the beaming face of the new Abbot. 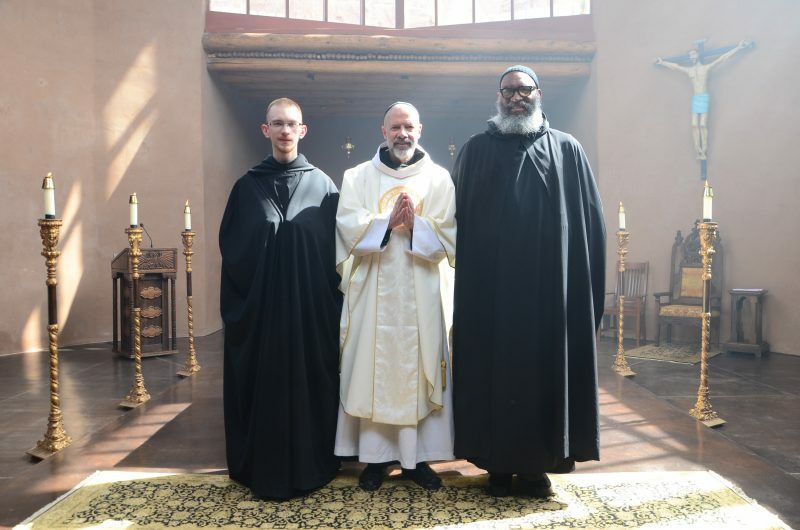 On March 21st, the Feast of the Passing of Our Holy Father Saint Benedict, two of our novices made their simple or first profession of vows, promising obedience, stability and conversion of life as Benedictine monks. 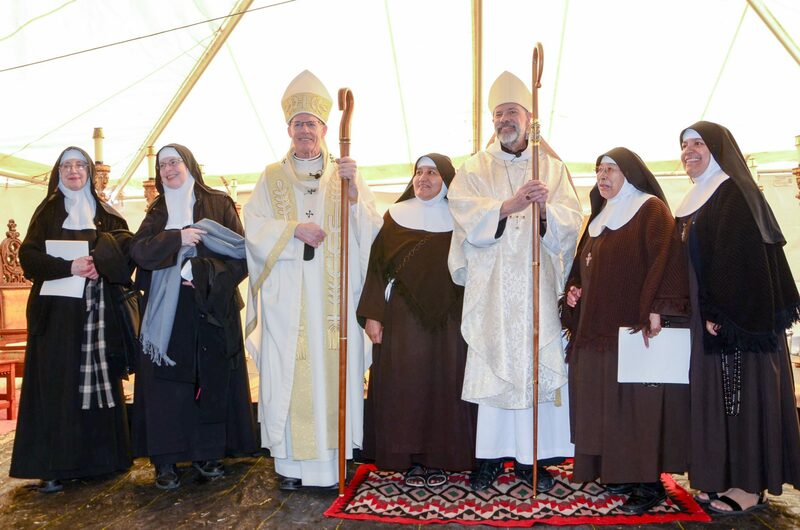 This took place during the Conventual Mass at our monastery. 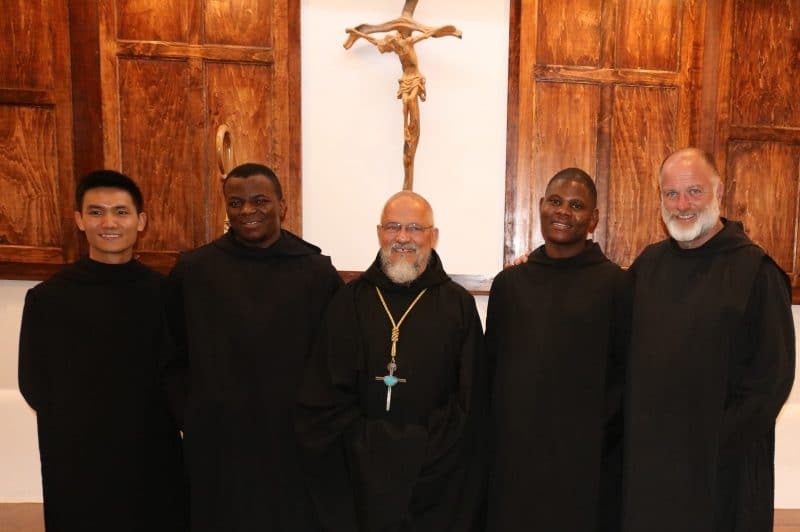 The newly professed monks are Brother Boniface Blackburn, originally from Tennessee, and Brother Chrysostom Christie-Searles, from Chicago. 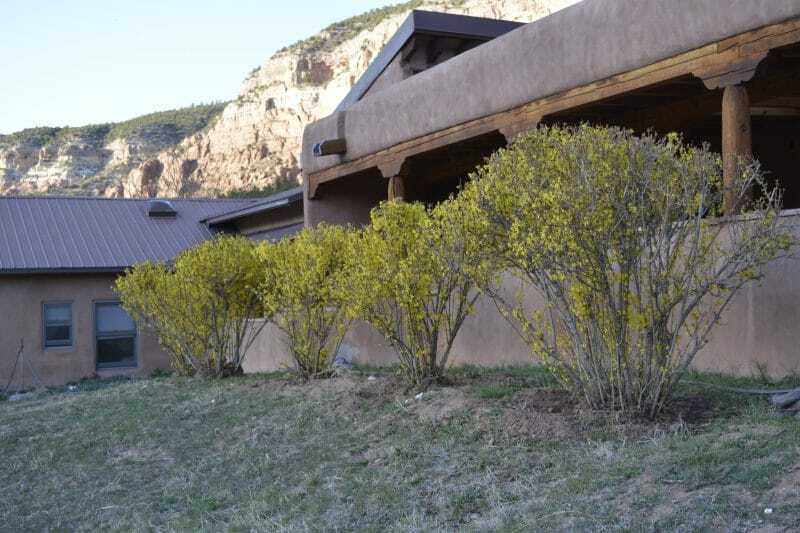 Both are talented and welcome additions to our monastery. Please pray for them. 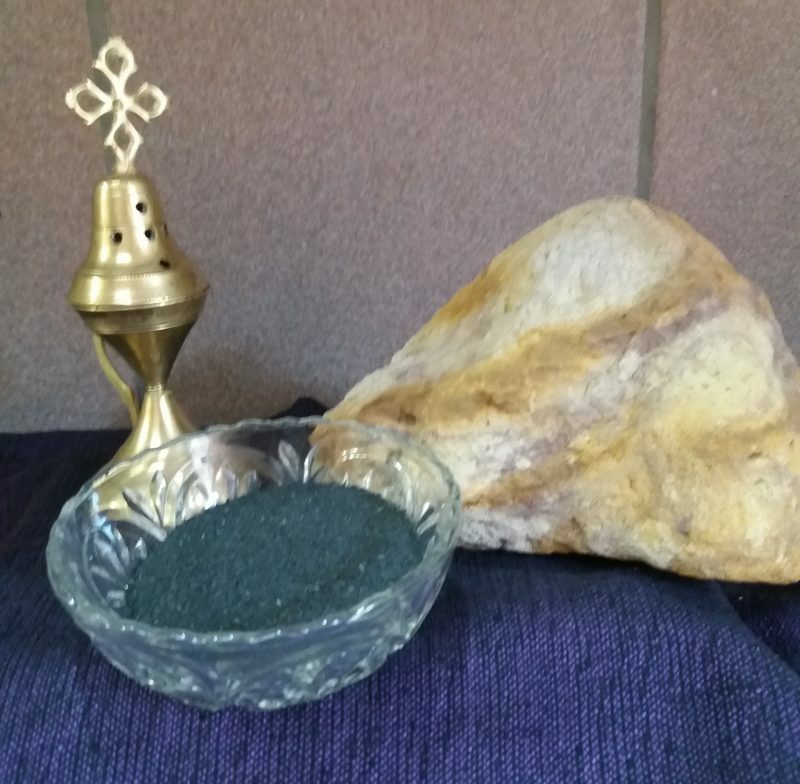 A Blessed and Holy Lenten Season to All! 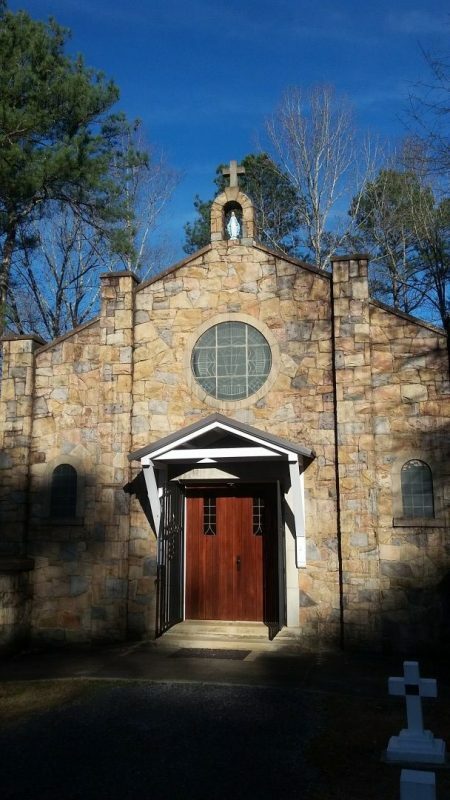 Cemetery chapel, Saint Bernard Abbey, Cullmam, Alabama, where Abbot Christian is attending the annual Benedictine Abbots Workshop this week. We Are in Ordinary Time Once Again! we may strive to love what he loved and to practice what he taught. It is Still the Christmas Season! We are celebrating now the days between the Solemnity of the Epiphany of the Lord and the Baptism of the Lord. 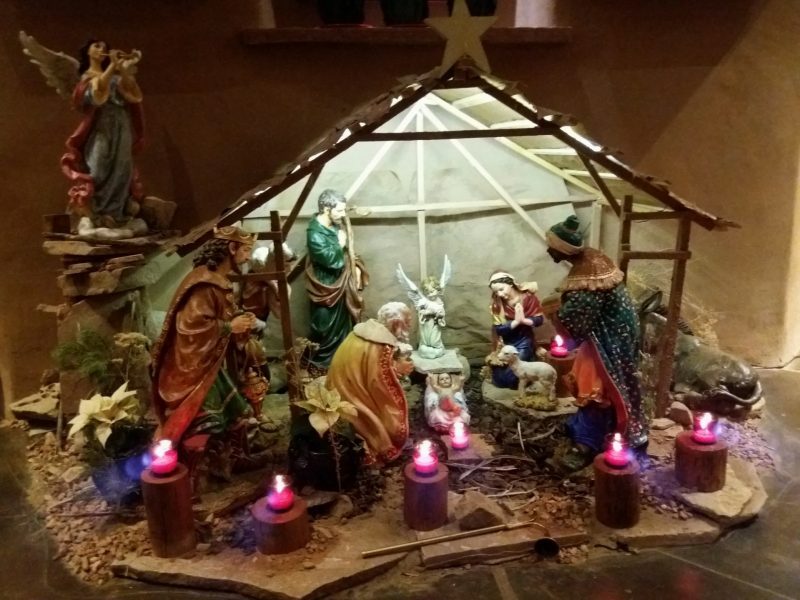 With the Magi of old, come let us adore the Lord! 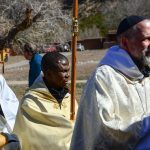 Il 12 dicembre 2018 P. Christian Leisy è stato eletto nuovo Abate dell’ Abbazia di Christ in the Desert (New Mexico – USA). L’ Abate Presidente e la comunità della curia generalizia gli esprime il suo vivo ringraziamento per il servizio svolto come Assistente. Preghiamo per lui e per tutta la comunità monastica che lo ha scelto come padre del Monastero. On December 12, 2018 Fr. 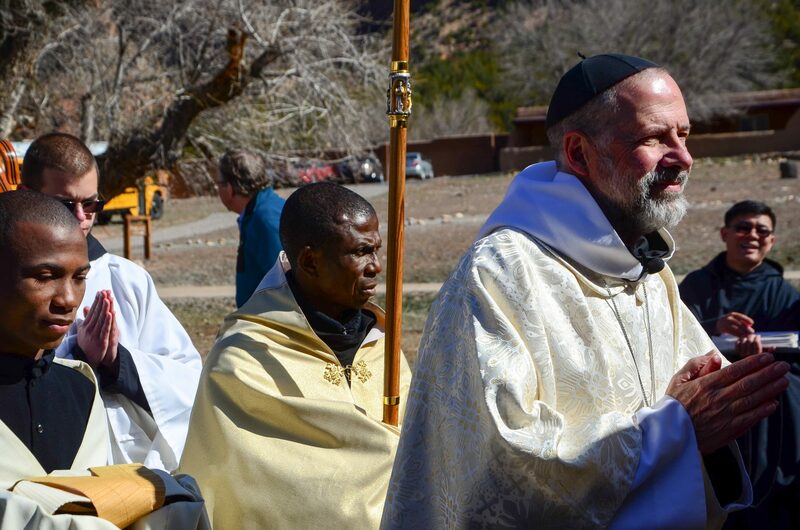 Christian Leisy was elected new Abbot of the Abbey of Christ in the Desert (New Mexico – USA). 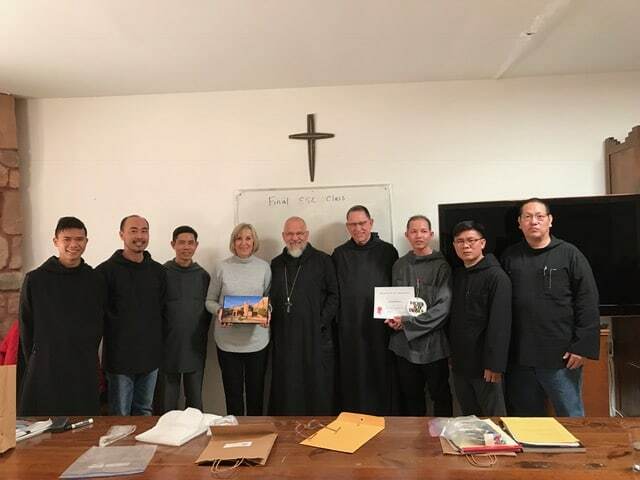 The Abbot President and the community of the General Curia express his heartfelt thanks for his service as an Assistant. 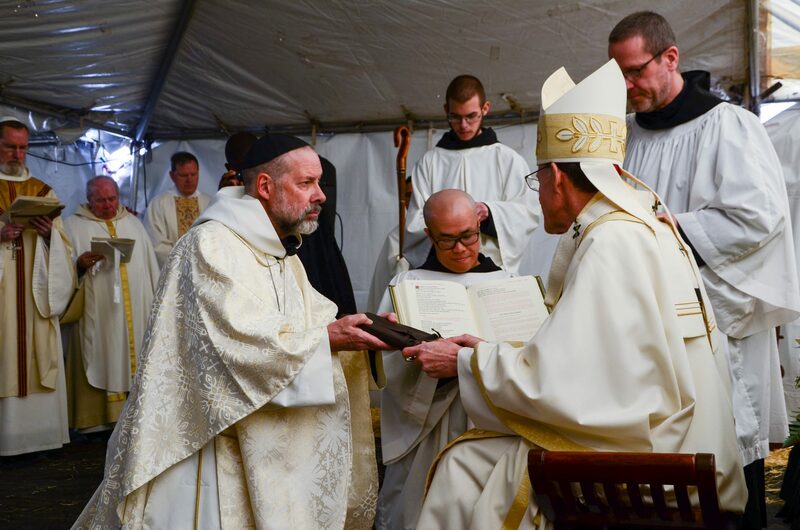 Let us pray for him and for the whole monastic community that chose him as the father of the Monastery. 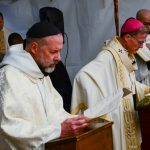 Le 12 décembre 2018, le P. Christian Leisy a été élu nouvel abbé de l’abbaye du Christ dans le désert (Nouveau-Mexique – États-Unis). Le P. Abbé President et la communauté de la Curie générale lui expriment leurs sincères remerciements pour son service d’Assistant. 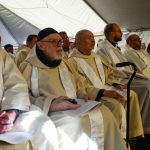 Prions pour lui et pour toute la communauté monastique qui l’a choisi comme père du monastère. 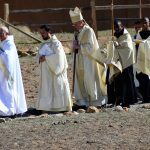 El 12 de diciembre de 2018, el P. Christian Leisy fue elegido nuevo Abad de la Abadía de Cristo en el Desierto (Nuevo México, EE. UU.). El Presidente del Abad y la comunidad de la Curia General expresan su sincero agradecimiento por su servicio como Asistente. 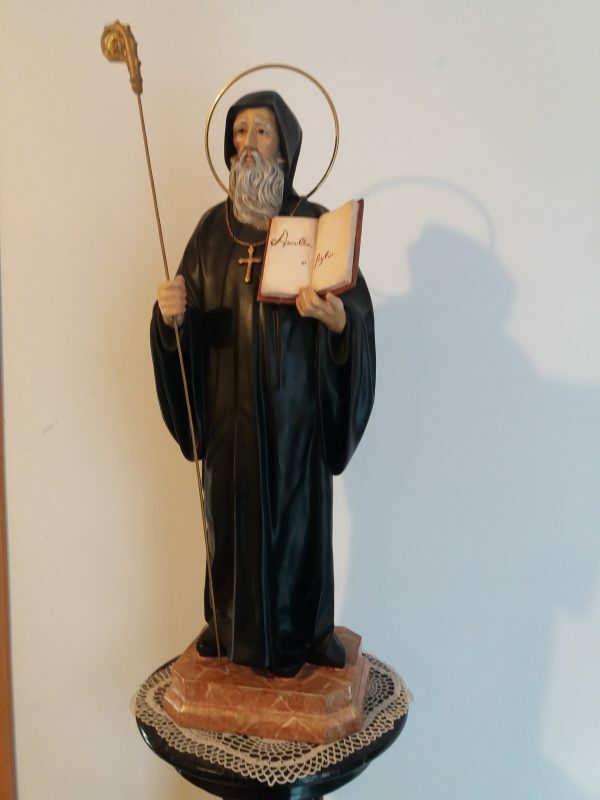 Oremos por él y por toda la comunidad monástica que lo eligió como el padre del Monasterio. 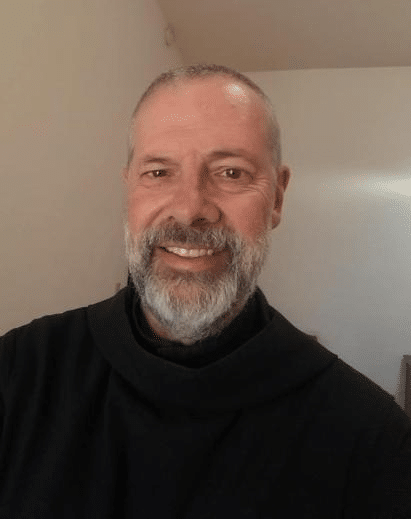 On the Feast of Our Lady of Guadalupe, Patroness of the Americas, the monastic community of the Abbey of Christ in the Desert elected Dom Christian Leisy as our new Abbot. He succeeds Rt. Rev. 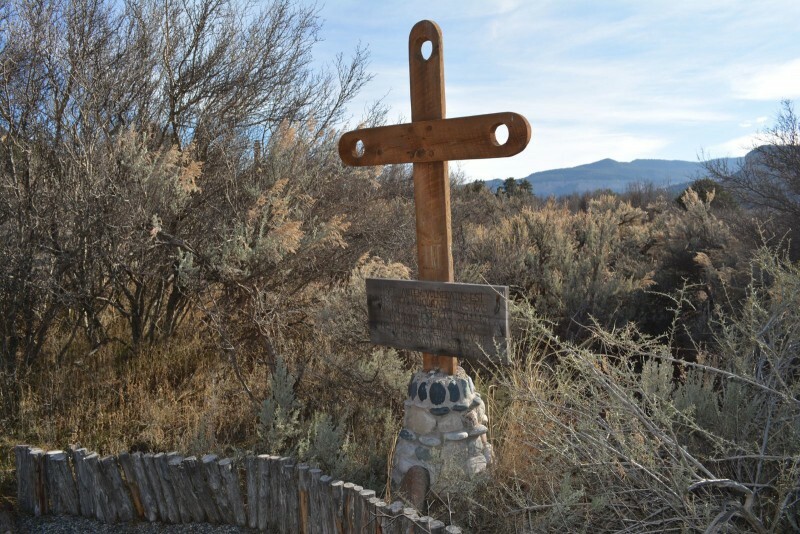 Philip Lawrence, who had served as superior of Christ in the Desert for 42 years. Presiding over the election was the Rt. Rev. 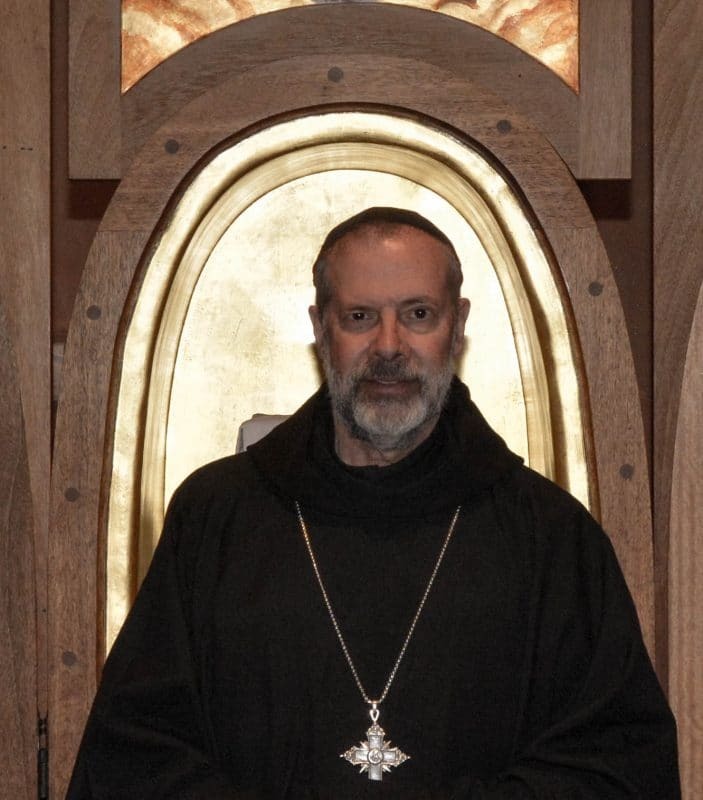 Guillermo Leon Arboleda Tamayo, Abbot President of the international Subiaco Cassinese Congregation of Benedictine Monks – to which Congregation Christ in the Desert belongs. After the election Abbot President Guillermo installed Abbot Christian as Abbot of this monastery, placing around his neck the cross which is the symbol of the Office of Abbot. 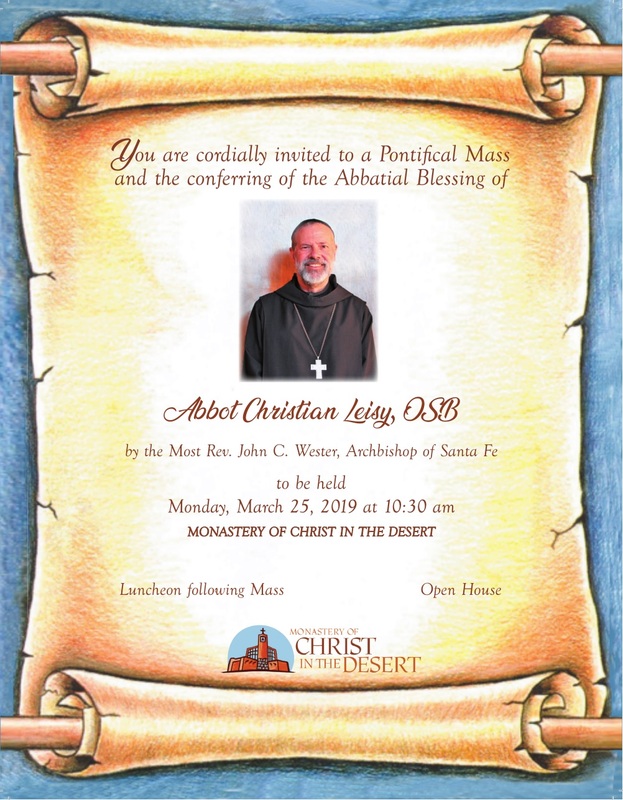 Abbot Christian has been a monk of Christ in the Desert since 1977 and originally hails from Oregon. 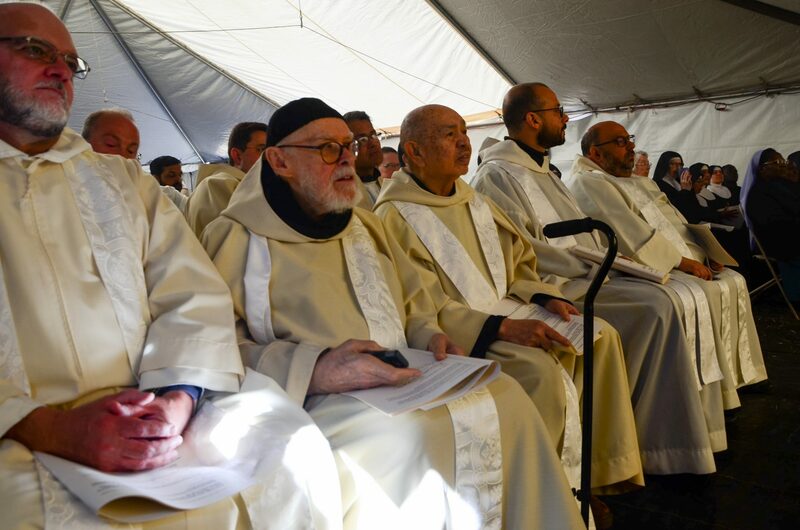 Retiring Abbot Philip said: “I know that Abbot Christian will be a superlative superior of our community!” Abbot Christian solicits the prayers of all of the friends of Christ in the Desert that he may serve humbly and well as shepherd of the community. 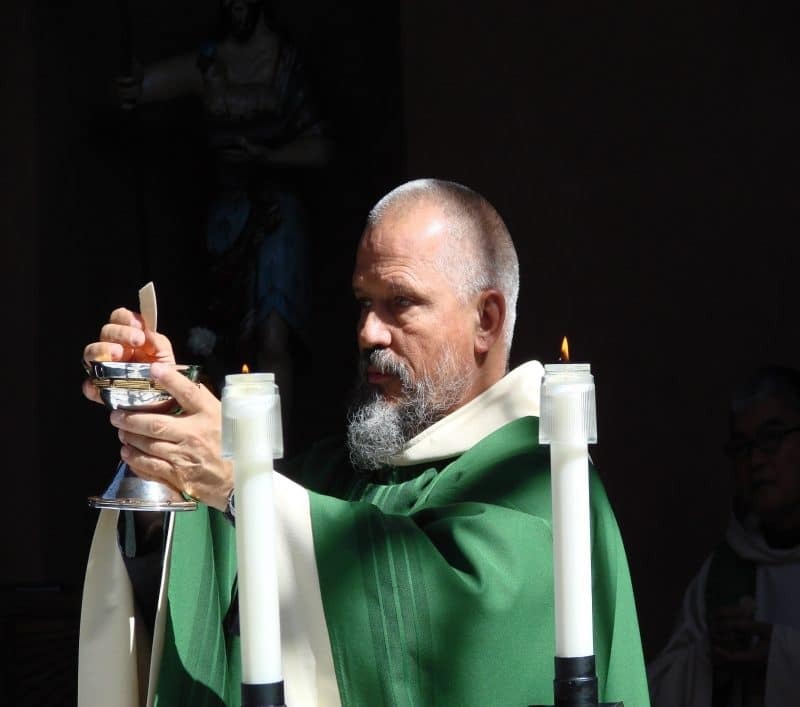 On December 12, 2018, the Feast of Our Lady of Guadalupe The Right Reverend Philip Lawrence, OSB, the Abbot of the Monastery of Christ in the Desert will retire and the monastic chapter will elect a new Abbot under the supervision of the Abbot President of our Subiaco-Cassinese Congregation, Abbot Guillermo Arboleda Tamayo, OSB. In the lead up to this special day the Guesthouse will be closed. 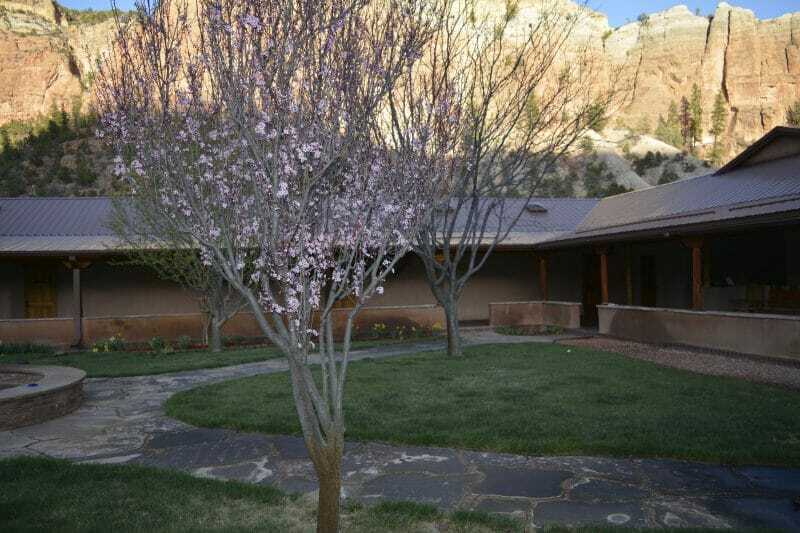 Visitors to the Monastery are still welcome and the Giftshop will be open during the regular hours. Finally, we ask you to join us each day in this prayer for our Community: Lord God, You are our Eternal Shepherd and Guide. In your mercy grant this Monastery a shepherd who will walk in Your ways, and whose watchful care will bring us Your blessings. Amen. 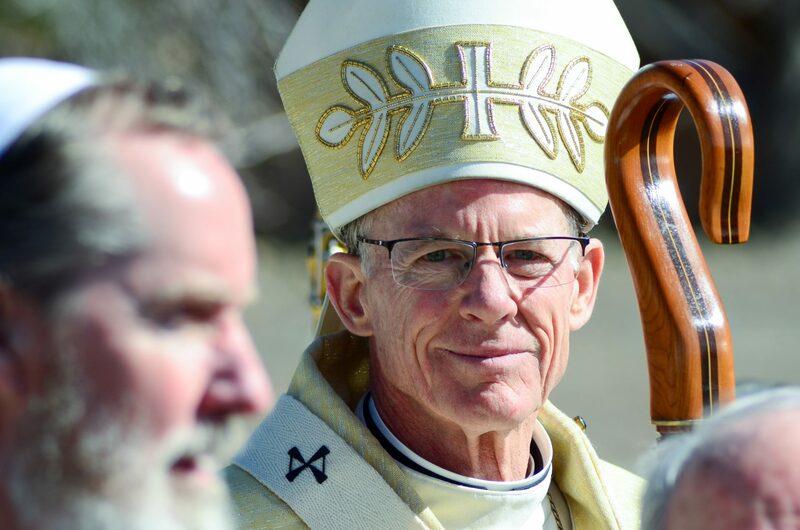 The Right Reverend Philip J. Lawrence, OSB, the Abbot of the Monastery of Christ in the Desert, recently announced in the summer newsletter that given the required retirement of an abbot at age seventy-five coming in 2019, he has decided that he will retire on December 12, 2018, the Feast of Our Lady of Guadalupe, because there are a number of important decisions that are to be made in connection with our rapid growth in monastic vocations and those will best be made by his successor. 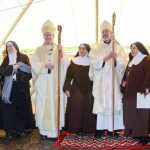 In answer to questions from a sizeable number of well-wishers, Abbot Philip has explained that the actual retirement event is done privately at the Monastery. 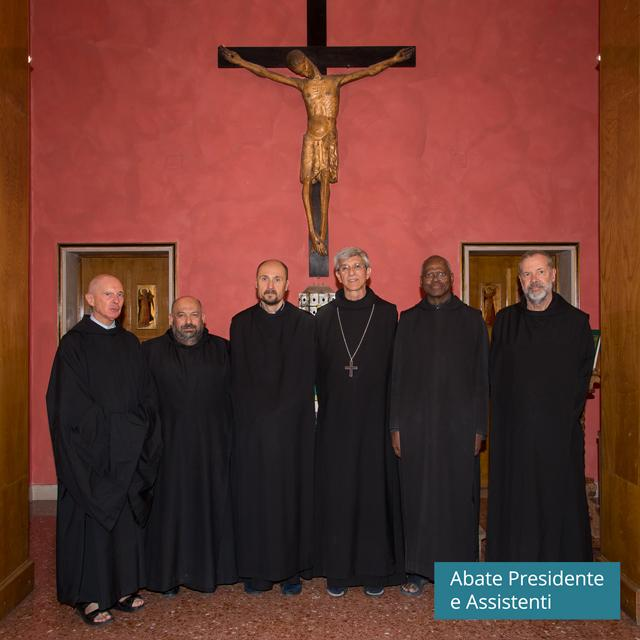 The Abbot President of our Subiaco-Cassinese Congregation, Abbot Guillermo, OSB, will oversee the subsequent election process and the public will be advised of the results on the news page of the Monastery’s website. 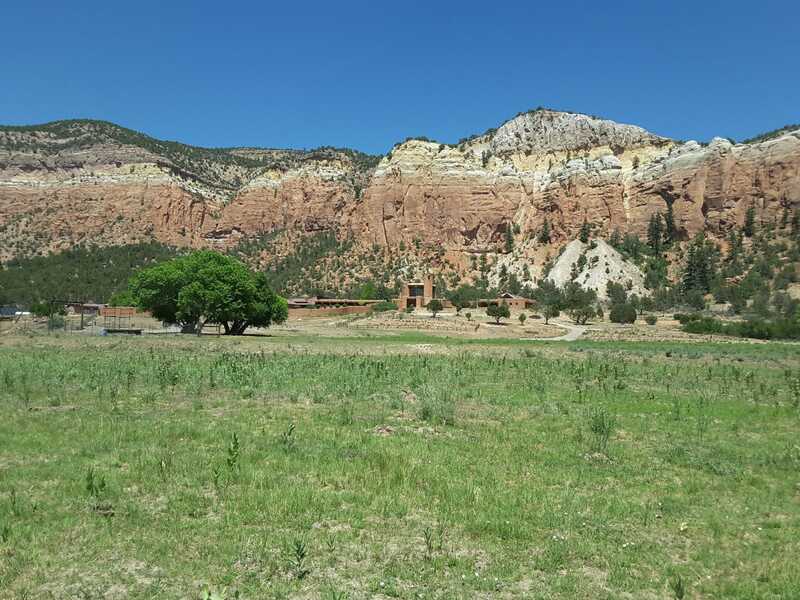 If you wish to read the summer newsletter which is dedicated to honoring the accomplishments of Abbot Philip’s 41 years as the superior of the Monastery, please click HERE. Finally, we ask you to each day join us in this prayer for our Community: Lord God, You are our Eternal Shepherd and Guide. 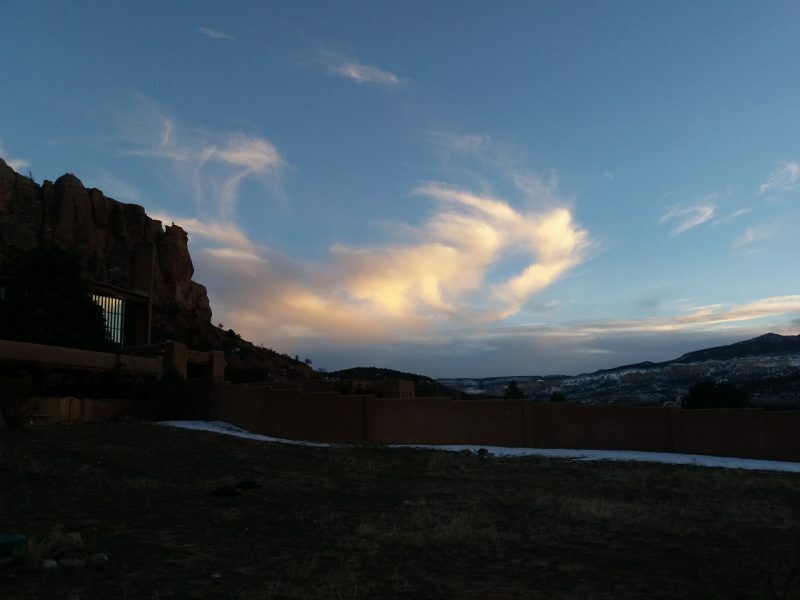 In your mercy grant this Monastery a shepherd who will walk in Your ways, and whose watchful care will bring us Your blessings. Amen. 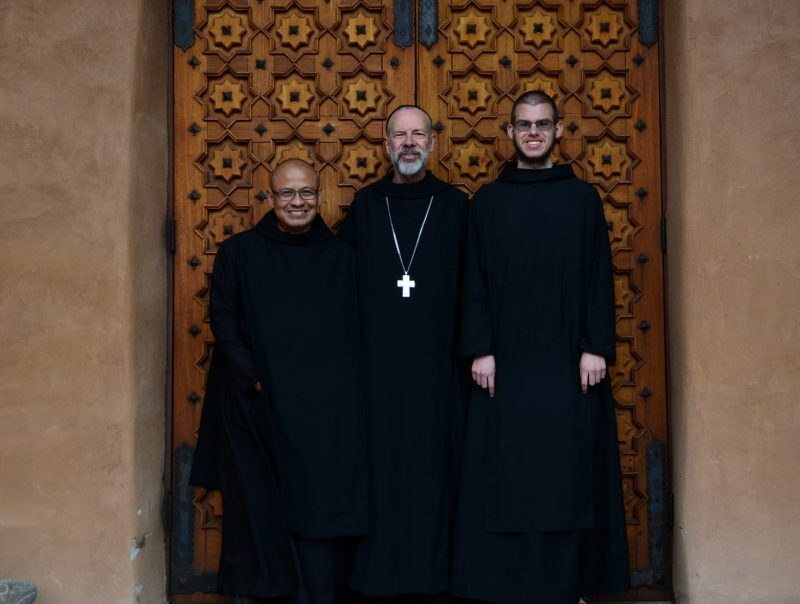 Independence Day Greetings from the Monks of Monastery of Christ in the Desert! 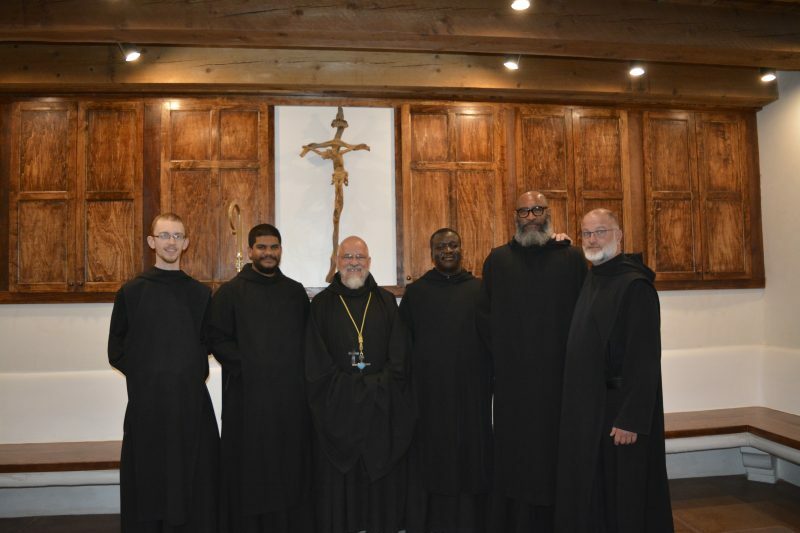 Brothers Ambrose, Victor, and Mark were clothed as Novices on June 30th! 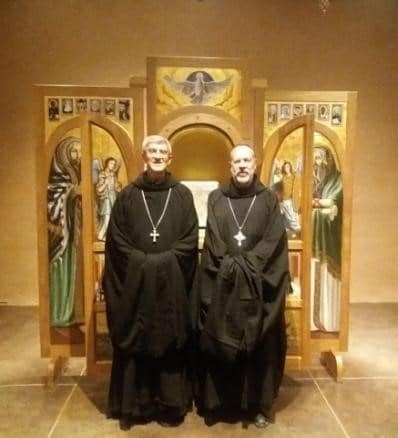 The Solemn Monastic Profession of Brothers Charles and Bede on June 24! 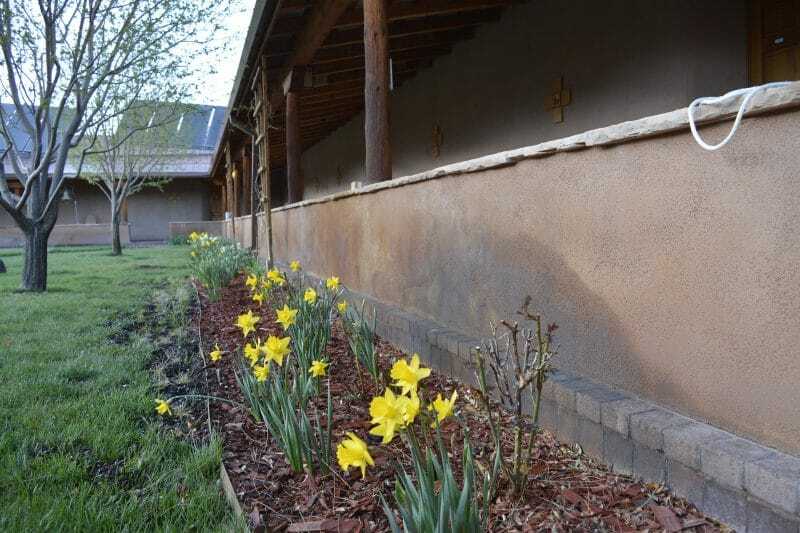 Flowers from the Monastery Cloister!